This course has various start times throughout the year and will be completed in 36 weeks. There are no formal qualifications for this award; however you must be a volunteer, a childminder or currently employed in an OFSTED inspected environment – having experience in an Early Years setting. These qualifications are designed for learners who want to develop a career as a childminder, youth worker, nursery nurse or nursery manager. 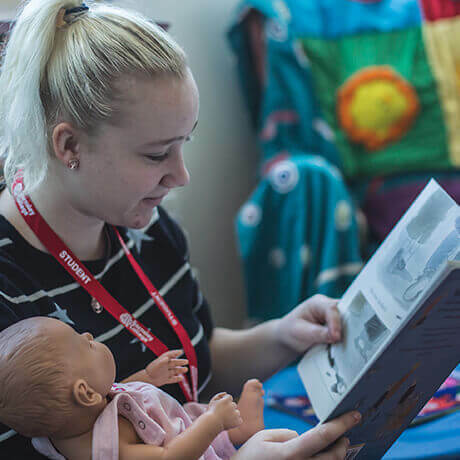 Level 2 will suit you if you work, or are about to work, in a supporting role as a nursery assistant, Crèche worker or special educational needs assistant. You want to work with children, but you’ll generally work under supervision. The QCF allows learners to build up credits which are made up of a number of units that have a stated aim. Each unit is made up from learning outcomes and each learning outcome is linked to a number of assessment criteria. Each of the assessments criteria must be completed successfully for a learner to achieve the unit. Each unit has a level and credit value. Through Work based Assessments in your work placement and various evidence methods throughout the programme, building up a portfolio.